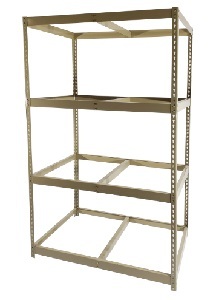 With many sizes available including widths up to 96" and depths from 12" to 48", our rivet style shelving can be used for just about any hand loaded application imaginable. 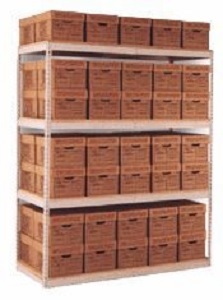 From simple backroom storage, to two story catwalk systems for record storage facilities, this shelving can do it all. 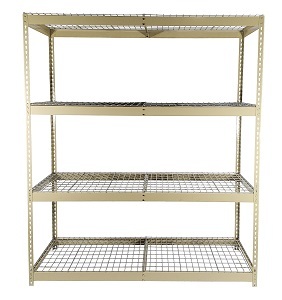 Purchase our boltless shelving with or without the 5/8" particle board decking, also available in a wide variety of heights up to 20' high. Large orders may qualify for additional discounts, contact us for more details.